Ethereum Classic was created after the infamous DAO hack which resulted in a hard fork of the original Ethereum network in July 2016. After the fork, the popular cryptocurrency was left with two variations; Ethereum (ETH) and Ethereum Classic (ETC). Ethereum Classic kept all of the same technology as the vanilla Ethereum, while the new Ethereum would contain several patches and improvements that would prevent any attacks similar to the one that occured with the DAO, in the future. Just like Ethereum, Ethereum Classic is an open-source, distributed computing platform featuring smart contract functionality. ETC is essentially Ethereum’s little brother and is a continuation of the original Ethereum blockchain. Its history goes back to May 2016, when The DAO, a decentralized autonomous organization and venture capital fund that existed as a set of smart contracts on the Ethereum blockchain, raised $168 million for investing in crypto projects. Code is law. The terms and conditions of The DAO should not be violated under any circumstances. Bailing out The DAO token holders violated fungibility and immutability of the Ethereum blockchain. Actions performed on the blockchain should remain immutable regardless of the outcome. The hard fork violated the sanctity of the ledger. Modifying the blockchain for a non-technical reason created a slippery slope. What would stop users from doing the same thing to other smart contracts? The users who were against cheating the consensus decided not to upgrade their software and went on using the old version of the blockchain. They effectively created two versions of Ethereum that exist simultaneously, and the unforked version was branded Ethereum Classic. Ethereum Classic officially declared its independence on July 20th, 2016, and a lot of effort went into making it work as a standalone cryptocurrency. Mining pools dedicated to ETC were created, several exchanges were convinced to list ETC, and a community hub for ETC supporters was built. Ethereum Classic’s market capitalization surpassed $1 billion USD in May 2017. It has since tripled its capitalization to almost $3 billion USD. Despite the controversy surrounding its release, ETC has managed to become one of the top 20 cryptocurrencies by market cap. The developers announced a new monetary policy in 2017 that “balances the long-term interests of investors, developers, and business operators.” The policy set a limit for the total ETC issuance, which was previously unlimited. Under the new policy, the block reward was reduced by 20% at block 5,000,000, and another 20% every 5 million blocks thereafter. The total supply of ETC will not exceed 230 million coins. As of December 2017, 99 million ETC tokens were in circulation. It is has its own value token called classic ether, which is used as gas to fuel applications and smart contracts on the network, and can be transferred between users and stored in wallets. It supports the Ethereum Virtual Machine and allows the creation and deployment of smart contracts and decentralized applications. It even shares the same technical specifications, such as average block time, size and reward. Ethereum Classic has implemented other hard forks over the years to further develop the network’s technology. A technical hard fork was initiated in October 2016 to adjust the gas pricing for running various smart contracts on the EVM. 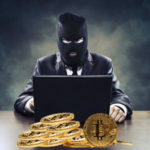 The goal of the fork was to adjust the price of various resource-intensive reference commands to discourage spammers who had conducted a month-long distributed denial of service (DDoS) attack on the network. 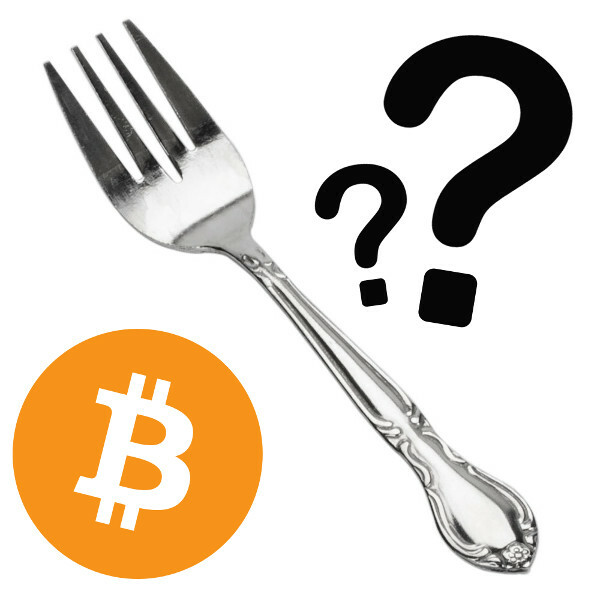 Another hard fork was initiated in January 2017 to delay the implementation of the so-called “difficulty bomb” that was originally added to Ethereum’s code in September 2015 to force the network to move from a proof-of-work to a proof-of-stake model. The most recent hard fork was initiated in December 2017 to change Ethereum Classic’s unlimited token emission policy to a fixed-cap monetary policy with a hard cap of around 210 million tokens. Ethereum Classic’s mission is to provide a decentralized platform for smart contracts and applications that run exactly as programmed. Code is law. Changes that violate the network’s immutability are forbidden. Transactions can’t be reversed or modified for any reason. Forks are only permitted to update the technology on which Ethereum Classic operates. Anyone can use the platform to do whatever they want, whether to build applications, hold crowdsales, or create autonomous organizations. Anyone can fund internal project development using whatever currency they want and following a transparent and decentralized crowdfunding protocol. Anyone can suggest upgrades, enhancements, or improvements to Ethereum Classic assets. The Ethereum Classic community believes in a decentralized blockchain that is censorship free, and wants to uphold the original vision of Ethereum as a world computer. While ETC has retained some Ethereum users and gained new members from the wider crypto community, the project is not officially supported by the Ethereum Foundation. Ethereum Classic traded on many cryptocurrency exchanges, including Shapeshift, Changelly, Bitfinex, BitMEX, Bitsquare, Bittrex, BTER, ChangeNow, CHBTC, Coinexchange, Coinut, Evercoin, Kraken, Korbit, LiteBit, OKExchange, Poloniex, Yobit and Yunbi. 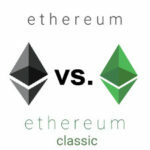 There are several wallet options for Ethereum Classic, including ClassicEtherWallet, MyEtherWallet, Emerald-Wallet, Daedalus Wallet, Classic Metamask, and Jaxx Multi-Platform Wallet. ETC is also supported by Trezor and Ledger Nano S hardware wallets. For mobile storage, users can choose between BitPie, Guarda, and Coinomi. Ethereum Classic has managed to remain reasonably liquid despite the turmoil caused by the hard fork that brought it to life. The value of ETC was low for the first year of its existence, but like most cryptocurrencies, its price went up during the final months of 2017. It’s still worth significantly less than ETH, but it’s now among the top 20 cryptocurrencies by market capitalization. The Ethereum Classic team recently released a detailed roadmap for 2018 to 2020, featuring goal updates and reaffirming the coin’s philosophy. One of the milestones the project set for itself in 2017 was establishing a dedicated team of developers to work full time on core ETC projects and further develop the platform. This burst of activity has renewed the wider crypto community’s interest in Ethereum Classic.